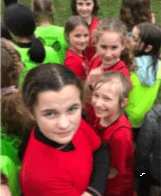 Students from Landulph School endured difficult weather conditions to deliver some fantastic performances and finishes at the recent Plymouth Schools Cross-Country League event held at Cotehele. Despite the very wet and slippery conditions, team Landulph gave their all, running full teams in each event and achieving some brilliant finishes in the process, including first place for Isaac in the Year 5/6 boy’s race. Isaac produced a tremendous run to finish ahead of over 100 other Year 5 and 6 children from 25 other primary schools and clinch 1st place. There were also a number of top ten finishes and personal bests from Landulph students, with Charley finishing 9th in the Year 3/4 girl’s race, and Blossy, who achieved her highest finish of 8th in the Year 5/6 girl’s race. Jo Pearson, who trains the students and accompanies them to events, was delighted with their efforts. “Well done to all of our fabulous runners, as the weather was not on our side and created very wet and slippery conditions. 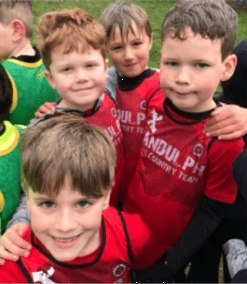 We ran full teams in all the categories which we need to be proud of, the children really gave their all – way to go team Landulph!” she said.